Terrell Thomas to switch positions? I want to bring up a quick note before I begin this article. First off, I want to apologize for the last few posts we’ve had here on the Gab. We pride ourselves on providing quality content for our readers so that you can form your on opinion on all matters related to the Giants. We have failed to do so recently, and we are working diligently on bringing the Gab back to where it’s supposed to be. Now on to the Giants! The Giants have a $6 million option on Thomas in March. They’re not going to pay him that money, obviously. They’ll either cut him or look to restructure the deal. If Thomas is willing to move inside, or even still attempt to play on the the outside, I don’t see why the Giants wouldn’t try and keep him. If he can stay healthy, he can contribute, and it won’t cost them much. The Giants won’t put their eggs in his basket, and they’ll take any contributions he can make. It’s hard to wonder, though, if Thomas is better moving on and getting a new start somewhere else. What are your thoughts, Gabbers? This is what I am talking about JW!!! 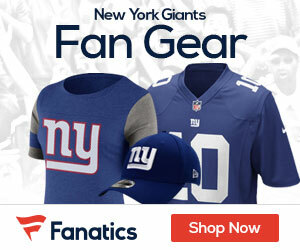 Giants news and notes, I love it! I think if healthy he would be a great addition to the Safety position. He may be KP’s eventual replacement if they don’t re-up his contract. Is Terrell Thomas projected as being healthy for training camp and the start of the regular season? or would he be a PUP candidate? If healthy and able to participate fully in mini and training camps I suppose he would be worth taking a look at safety for the restructured veteran-minimum. Sadly, I believe his Giants playing days are over and may well find it in his best interests to give it a shot somewhere else. DP: There is no indication on where Thomas is recovery wise. Typically, surgery on the ACL will leave a player with a 6-8 month recovery time. Being that it’s Thomas’ third surgery on his ACL, I would assume he will take it slow. No reason to rush. He likely won’t be ready for mini camp and OTA’s, but training camp is a possibility. However, I could see the Giants airing on the side of caution and PUPing him. All in all, though, I think it’s in his best interest to move on. Go to a new team, get a fresh start. However, being that he’s torn his ACL three times, not many teams are going to give him as good a shot as the Giants will to see significant playing time. We shall see.